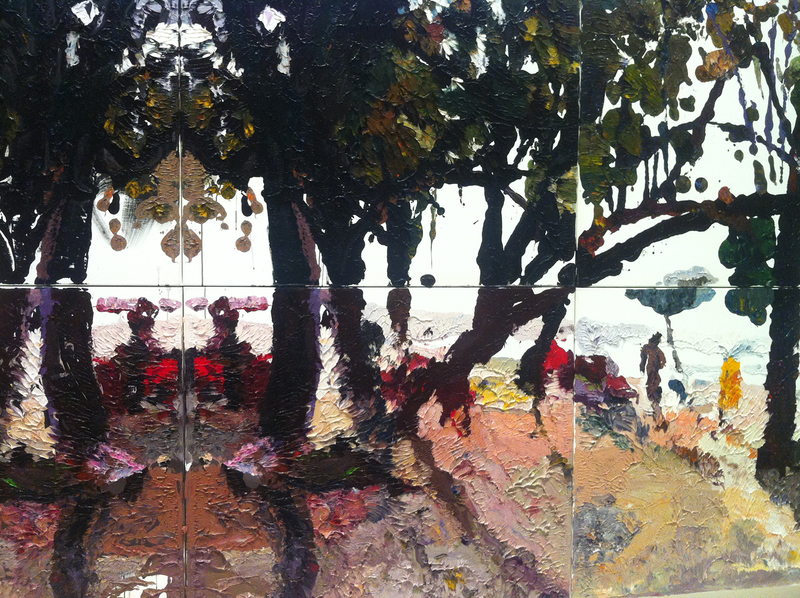 I visited the Bendigo Art Gallery last week to see the Ben Quilty show. I’ve been a fan of his painting since I saw one of his car crash paintings and a documentary about him where he spoke about Australian masculinity and what inspired him. European settlement and the plight of Indigenous Australians are ongoing themes in his work. What fascinates me is the amount of paint he uses! When I look closely I always wonder how long his work must take to dry. I love his dramatically rough painterly style. 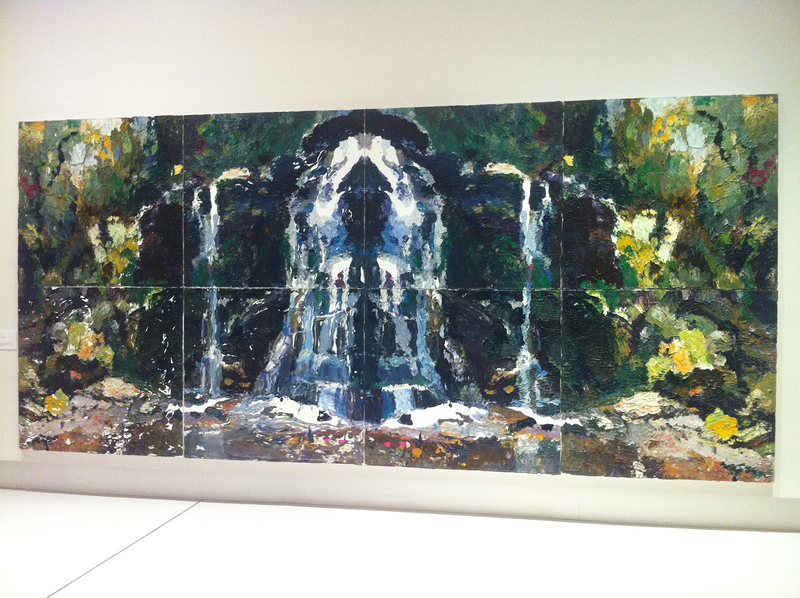 Three of his Rorschach series of large landscapes are almost symmetrical mirror images, reflected from a central vertical axis.